Mukul Mehra, MD, has worked as gastroenterologist for more than a decade. 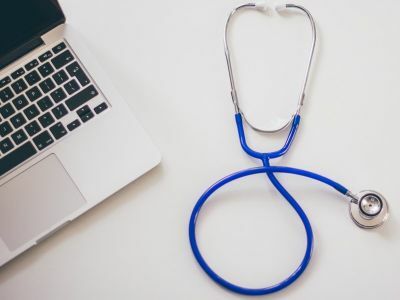 Like many physicians, one of his frustrations is the EHR — he wants the systems to provide him with more information at the point of care, without leaving him overwhelmed by irrelevant data or intrusive alerts. Dr. Mehra was particularly frustrated by lack of information on the cost of care. "When someone tells me something is 'expensive,' that isn't good enough for me," he said during an interview with Becker's Hospital Review. "I want to know why something is expensive and how expensive. Think of going to a restaurant on a budget, but the menu has no prices. That's what it's like for doctors right now." "That's when IllumiCare was born — a tool that helps clinicians understand the cost and risks associated with the things they order most often, like medications, labs and radiographic studies," he continued. Now, Dr. Mehra serves as co-founder and chief technology officer of IllumiCare. The startup developed Smart Ribbon, a product that places a ribbon image over a hospital's EHR, displaying relevant information on cost and risk from connected data feeds. For example, it might display information on a patient's opioid prescription history compiled from prescription drug monitoring programs. "Doctors want to make choices that benefit the patient overall, including being judicious with the cost and the risk you are imparting on them," Dr. Mehra said. "Most of the procedures, tests and medicines have risks of complications, side effects or false positive findings that lead down a clinical path with no value. With several providers all doing multiple things at the same time, these risks multiply." Since its launch in 2014, IllumiCare has raised $5.8 million in venture capital funding and has been deployed in more than 120 hospitals across the U.S. The startup has also partnered with various state hospital groups, including the Texas Hospital Association and the Georgia Hospital Health Services, a subsidiary of the Georgia Hospital Association. Becker's Hospital Review caught up with Dr. Mehra to discuss how he got IllumiCare off the ground and how the startup sets itself apart from other clinical decision support efforts. Question: How does IllumiCare fit into the broader healthcare landscape? Dr. Mukul Mehra: IllumiCare tackles some of healthcare's blind spots that lead to high spending, overutilization and increased risk. Physicians are the building blocks of value-based care, yet the cumulative human and financial costs of their decisions are mostly hidden from them. In this volatile healthcare environment, doctors should play a pivotal role in cost containment and cost reduction. Physicians are best equipped to play the decision-maker, synthesizing cost data, efficacy and patient advocacy, but they have to be informed about cost data and iatrogenic risk in order to become clinician-stewards. Q: What prompted you to found IllumiCare? MM: Here's the encounter that built the foundation to start IllumiCare: One day, I saw a patient that had undergone many CT scans. Before ordering yet another expensive test that exposed her to more radiation, I decided to calculate her total radiation exposure over time — and I found it was the equivalent to her standing within one mile of ground zero at Hiroshima for a year. Over the years, none of the doctors she had seen wanted this for her or ignored the tally, it's simply that they didn't have the information available to them. We're working to provide doctors with important information to inform decisions like this one. Q: How does IllumiCare balance providing physicians with information to make care decisions, without overwhelming them with data? MM: The solution lies in giving clinicians more control over their workspace, so we can reduce the burden of the EHR while making it more useful, applicable to the user and insightful about a patient. Consider your smartphone and how many of us use it as our workspace every day: We can control the apps we put on it, where they are placed on the screen and the alerts we receive. This design philosophy has proven successful in the implementation of our Smart Ribbon technology. The Smart Ribbon is completely customizable, and it isn't a hovering nuisance — it displays for only a handful of seconds before minimizing automatically without interaction from the physician. It doesn't require the physician to click through or accept any unnecessary alerts. Q: What's it like being a practicing physician, while also leading a technology startup? MM: As a practicing physician I get to field test all the ideas I have for my company, which is unique. I get to make rounds in the hospital and see patients, gather insights from other physicians and nurses, and take everything they say into consideration. This has allowed us to add new apps and features to the Smart Ribbon as a result of seeing real challenges in the hospital, such as the hospital's role in the opioid crisis. We saw how little visibility hospital staff had into inpatient opioid exposure, working under the typical, but often wrong, assumption that opioid addiction is something that happens in the outpatient setting with a prescription. We created the first controlled substance application that combines both inpatient and outpatient exposure — from the state prescription drug monitoring programs — to quickly give doctors a better idea of what has been administered to that patient. Q: What best practices have you learned when marketing your product to hospital executives? MM: The key is to respect physicians' autonomy. We're working to make the EHR more user-friendly by providing physicians with information that they wouldn't know otherwise, but I can't tell you how many clinical decision support tools hijack a physician's thought process, workflow and derail the intent of a physician. When I am thinking through why my patient's heart rate went up last night and the CDS system is telling me to consider entering a vancomycin level, that's annoying — maybe I do need to enter that, but disrupting my workflow and chain of thought right then is frustrating. We at IllumiCare have taken painstaking steps to provide information in the workflow over the EHR, but not make suggestions unless the physician wants them.